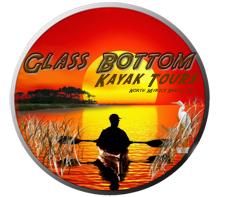 Glass Bottom Kayak Tours offers a family friendly way to experience Myrtle Beach in its natural setting. Tours glide through salt water marshes, or drift down the current of the Waccamaw River. See our website for package details, dates, and online booking options.